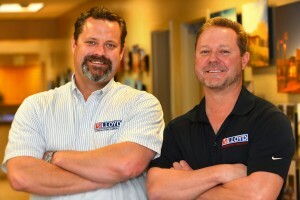 Founded in 1969, Lloyd Construction is owned by lifelong Tucson residents and brothers, William E. Lloyd and Bradley J. Lloyd, sons of William H. Lloyd. We have maintained our sole office in Tucson since then. Bill Lloyd, Sr. was born in Danville, Illinois, raised in Hoopeston, Illinois. 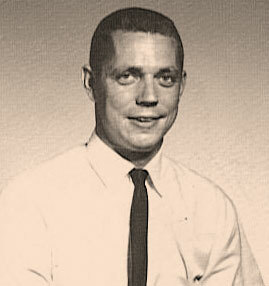 He came to Tucson in 1959 to attend the University of Arizona and received his degree in Civil Engineering prior to starting Lloyd Construction. Through the years, a pillar of business and the community, Bill, Sr. contributed to the growth of the area by successfully constructing hundreds of buildings throughout Arizona. William E. Lloyd (right) – After attending Grand Canyon College, Bill, Jr. joined Lloyd Construction as a carpenter, and was soon running projects as Superintendent. From there he moved up to Project Management, successfully managing many of Lloyd’s most high profile projects. In 1993 Bill, Jr. became an Owner in the company and serves as the Company President. Bradley J. Lloyd (left)-Brad received his BS in Engineering from Western New Mexico University and joined Lloyd as Project Manager. In 1993 he also became an Owner and today serves as Vice President. A great part of our success today – and what makes us stand out from the crowd – is the personal attention, consideration, and passion that Bill and Brad lend to every project. We are second generation builders. It’s in our blood. We are extremely proud to be one of the largest and most respected locally owned and operated general contractors in Tucson. Read more about our firm and company values.